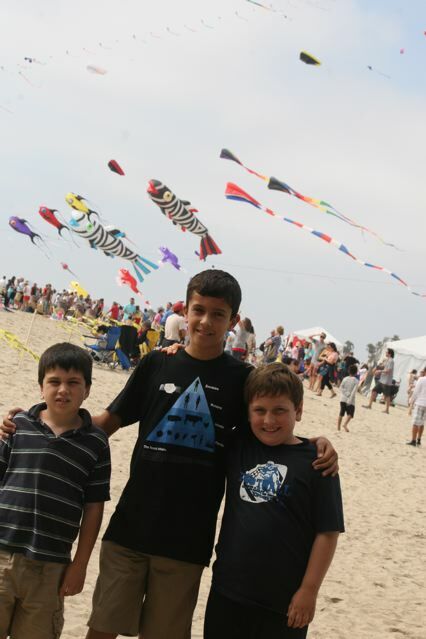 Today, after volleyball and Nick’s first flag football game, we went to Seal Beach to see kites! 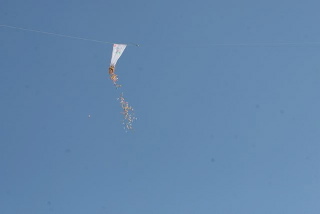 Nick counted, 170 kites…on the below string. 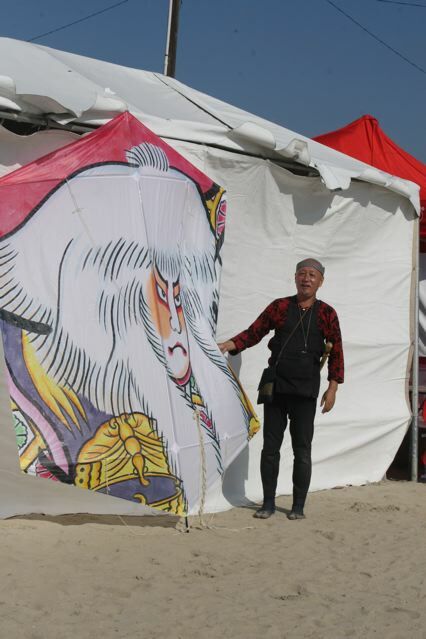 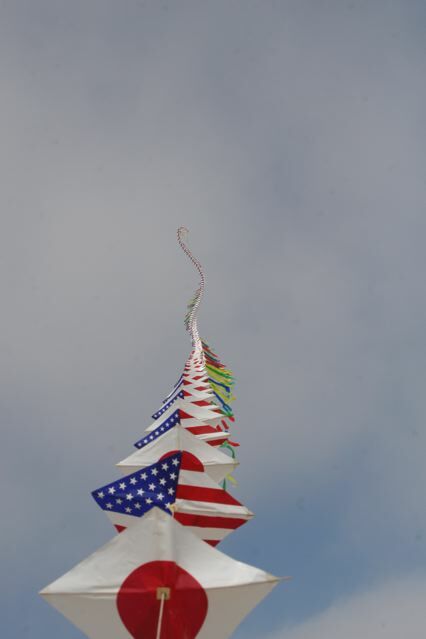 I was totally impressed with this Man’s Kites(above)…Mikio Toki is a Japanese Kite Master from Chiba, Japan. 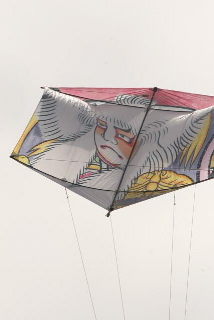 He had his beautiful, handmade edo-dako kite designs that feature a “bridle” of 17 strings that allow them to fly without a tail. 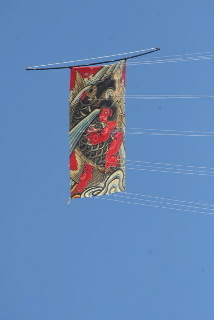 Made in the traditional way with silk, paper and bamboo. 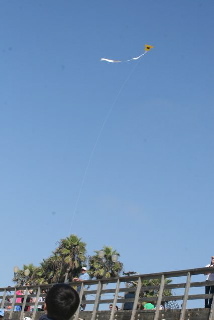 And then they had a candy drop off of the kite string! 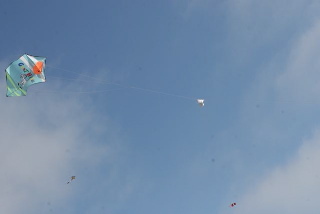 That lil tiny plastic bag under the kite holds lots of sweet treasures! 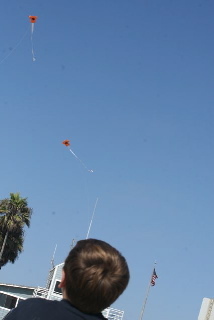 I hope the boys dream tonight of flying high in the air surrounded by wind and candy!